Welcome to the new Tempo Tidbits Website! This blog is for the curious real estate investor. 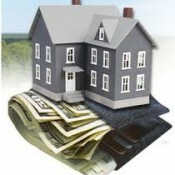 It should be used to gather information on investing in real estate. Anyone interested in buying or selling real estate needs to do due diligence. Our aim is to keep you informed and up-to-date on market changes, economic changes, local area data, trends, financing and more. As a real estate investor, manger and broker we are very familiar with the game of real estate. It is not for everyone. It can break you financially and going into it blind will ruin you. So join us as we begin this exploration into the tricks, politics and pitfalls of being a real estate investor. Talk with us, discuss your thoughts and share your stories and we will do the same. At the end of the day everyone wants to own something so why not get your piece of the pie!